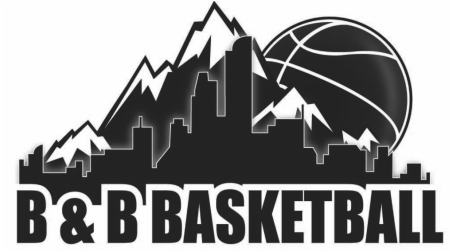 "Best feature about B&B is the primary emphasis on "life skills taught through the game of basketball" This is a unique insight that other programs (basketball in other sports) do not emphasize, but it matches what many parents want. Have recommended B&B to other parents, and will enthusiastically have Steve work with a second child of ours when that child is old enough. This is a common reaction from other parents who have done business with B&B. Have a lot of experience with coaching, camps, etc. These guys are among the best if not the best we've dealt with, regradless of sport." Our ten-year old son finished the three day B&B Holiday Basketball Camp held at Colorado School of Mines. He has gone to a number of soccer, lacrosse, and basketball camps and your camp truly stands out. The camp was well run, organized, and staffed with a great group of people. Our ten year old had lots of fun, picked up some new skills, and gained confidence on the court. His only complaints were that the camp was only three days and every shot is not a Money-Shot! "I thought the instructors worked really hard and made every effort to help every child improve. My sons learned more from B&B Academy than they had learned from all of their previous coaches combined-and I don't mean that as an insult to their coaches-I mean that as a compliment to B&B." "The instruction provided at the camp was terrific. Our daughter is developing a passion for this wonderful game, and the mentorship and teaching she received was first class. The individual attention was great, and I cannot Thank You enough for the great experience!!" "We liked the camp because it was back to basics and felt the skills that you taught helped my son with his tryouts." "You guys are just AWESOME.......this is a serious camp!" "I found the experience great for my son and daughter. I loved the smaller ratio of players to coaches and the nice demeanor of the coaches. It is very hard to be a part of a team when coaches yell, treat w/ dissrespect and or do not encourage those players that try , but just don't have the natural skill."